The F5 Fast Fit Series is Volant’s new line of high-flow, air intake systems that install in 20-minutes or less, requiring only minimal tools. 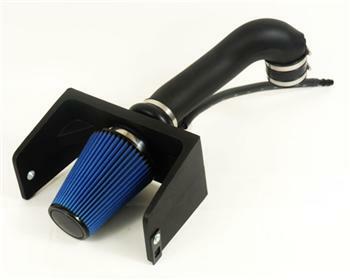 This new design offers enthusiasts a low-cost performance air intake utilizing the highest quality materials, with a low-restriction, cleanable, Pro-5 air filter for maximum flow and engine protection. The Toyota system replaces the factory intake tube and top air filter box. The Fast Fit system easily attaches to the throttle body and places the filter into the OEM filter box base. Volant Pro 5 Filter: Many of our intakes come with this cleanable and reusable high grade cotton filter media with five-layers of protection. It reduces air restriction and increases engine output by using precision pleat geometry, that optimizes airflow throughout the intake system. We recommend using Volant cleaning and oiling system for servicing the Pro 5 Filter.